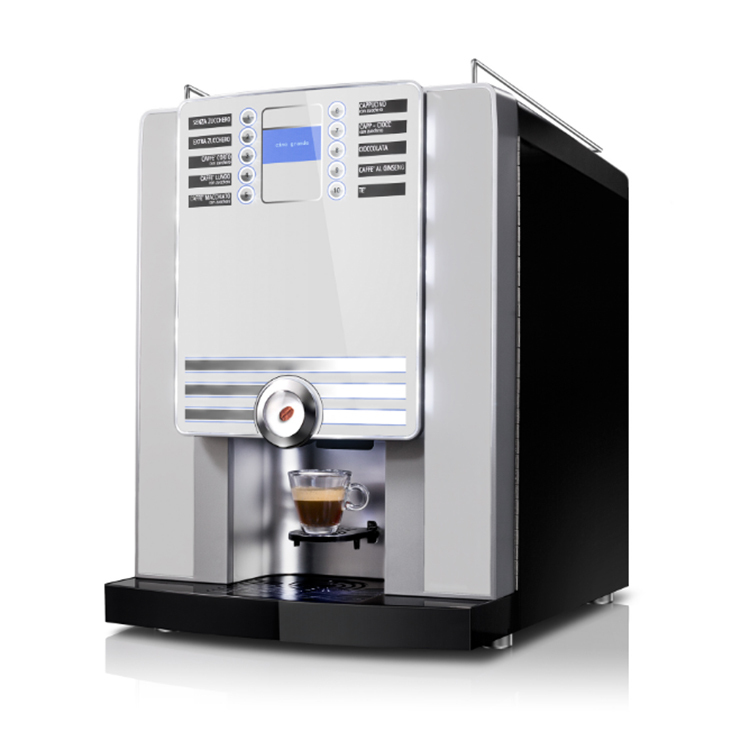 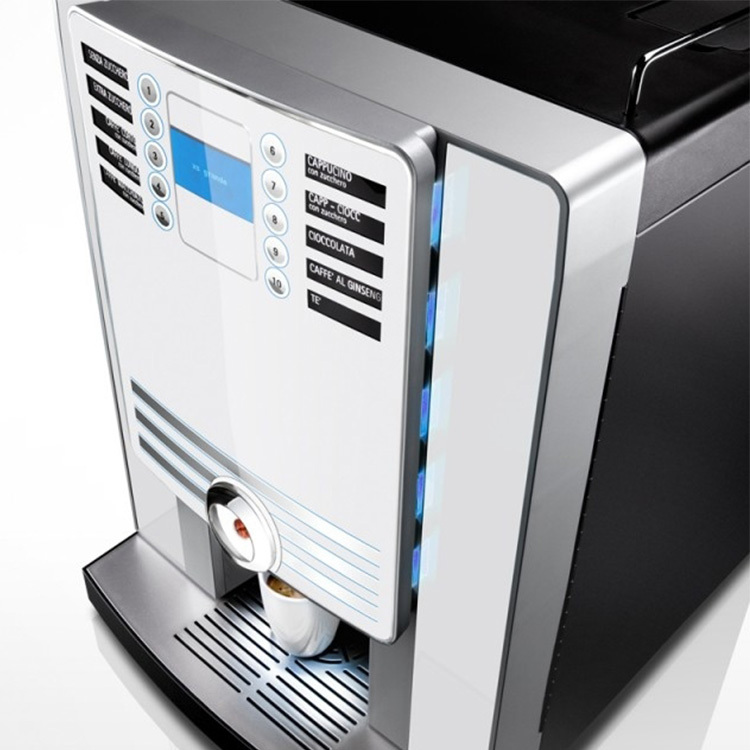 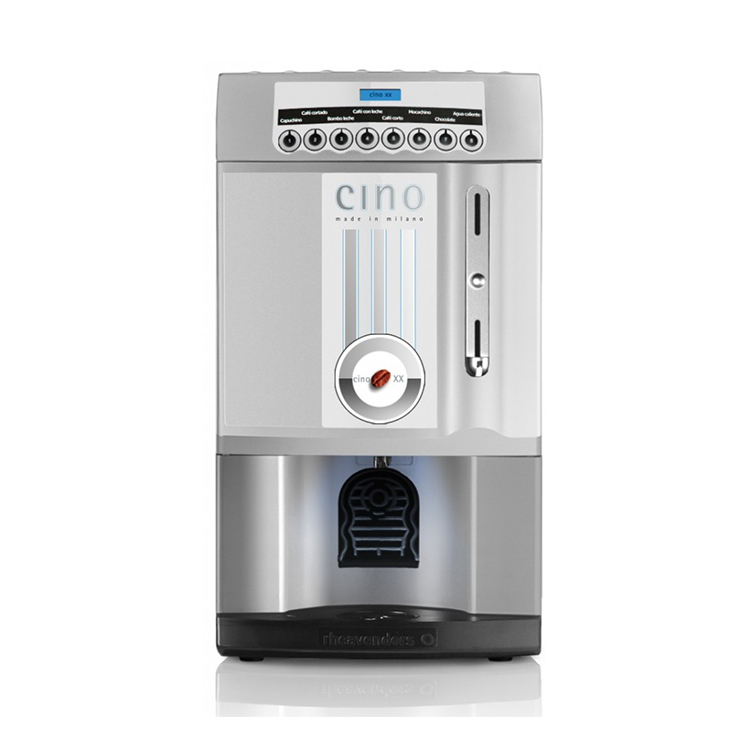 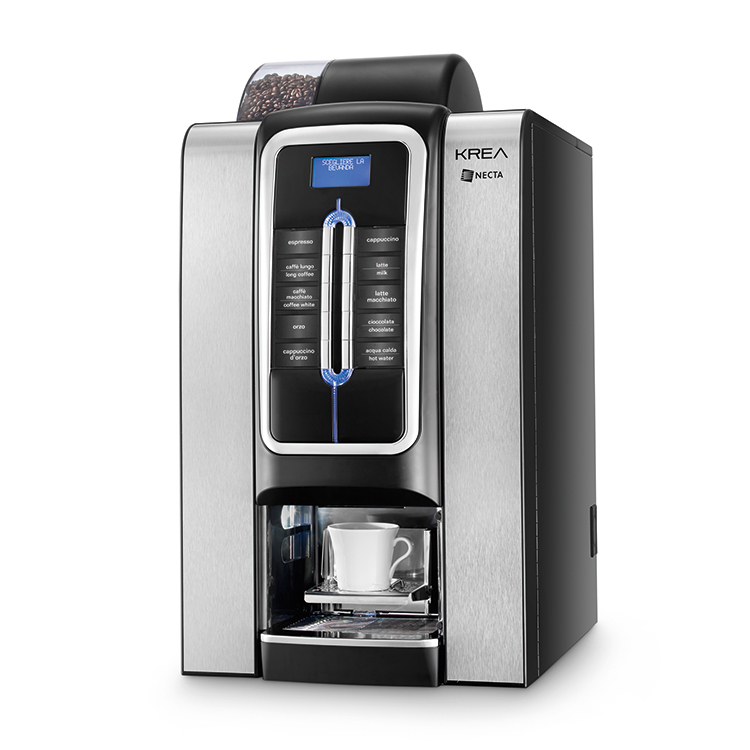 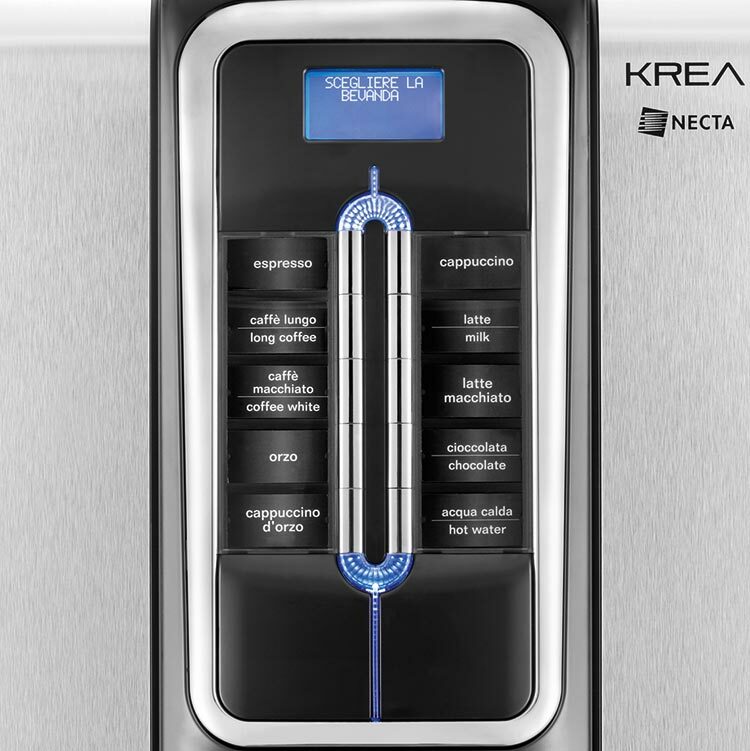 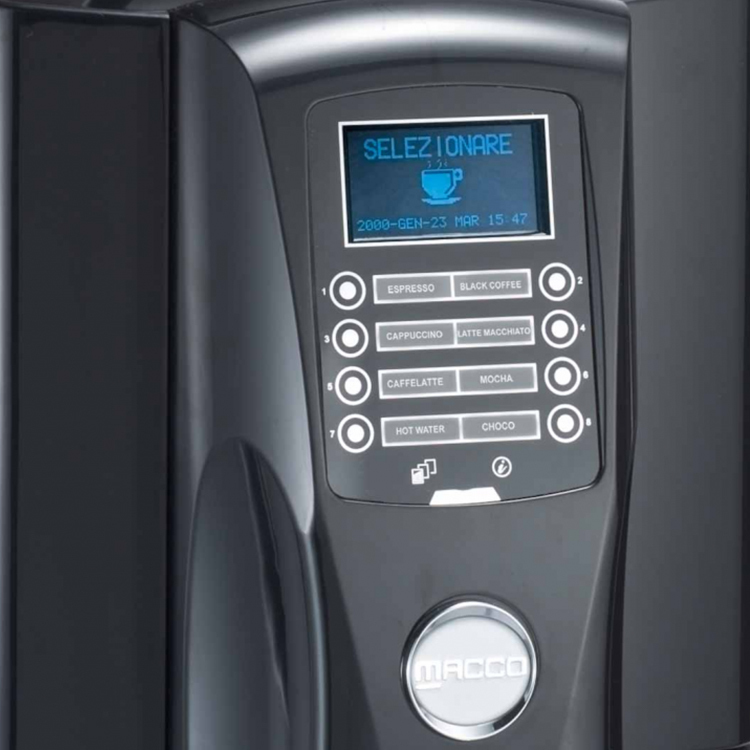 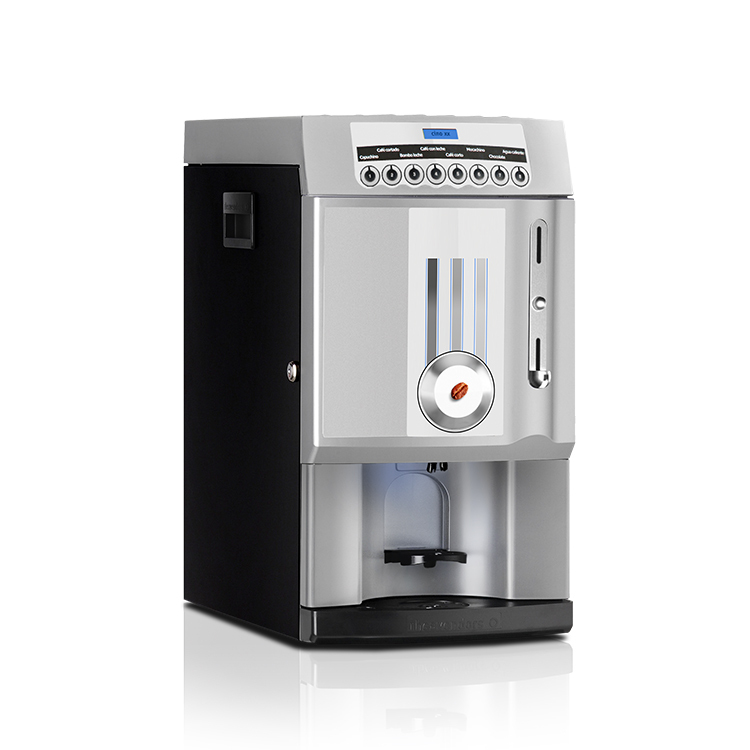 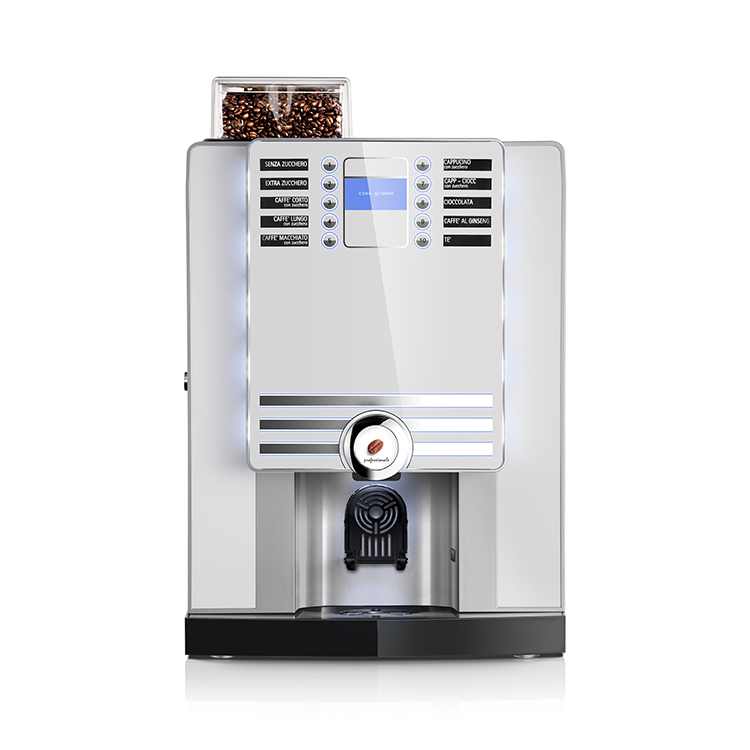 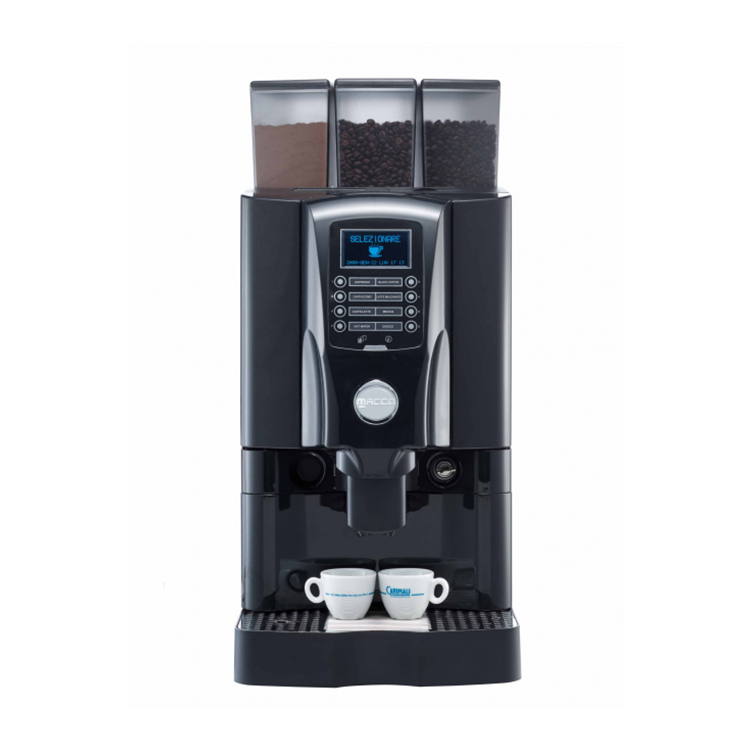 The beautifully designed Krea espresso coffee machine serves fresh coffee straight from the bean together with instant ingredients. 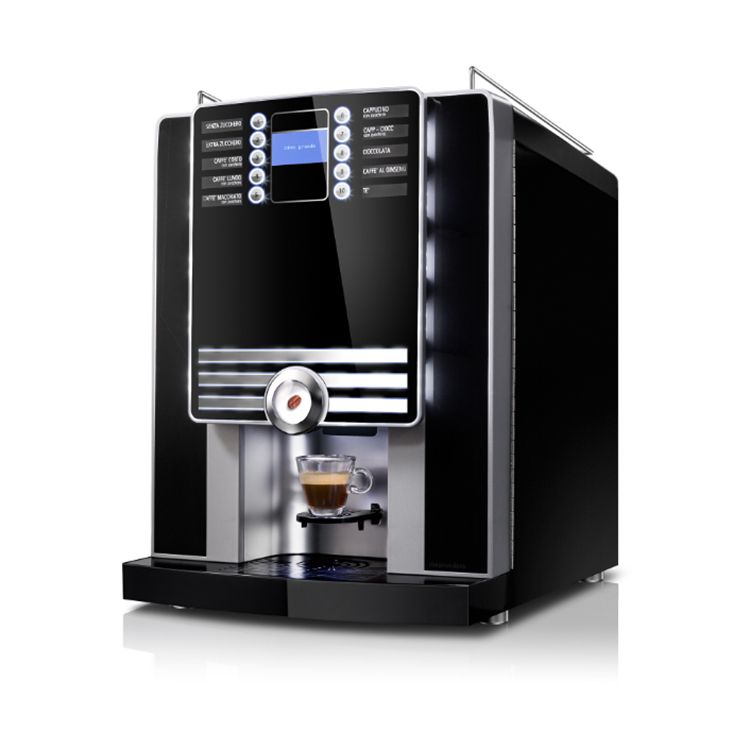 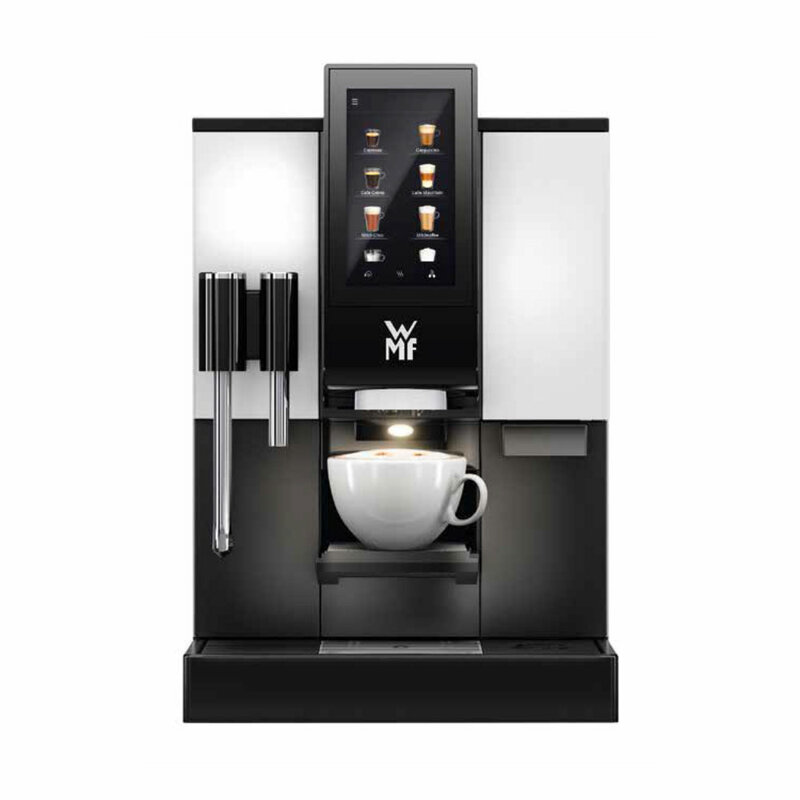 Its modern matt chrome finish and button surrounds demands attention. 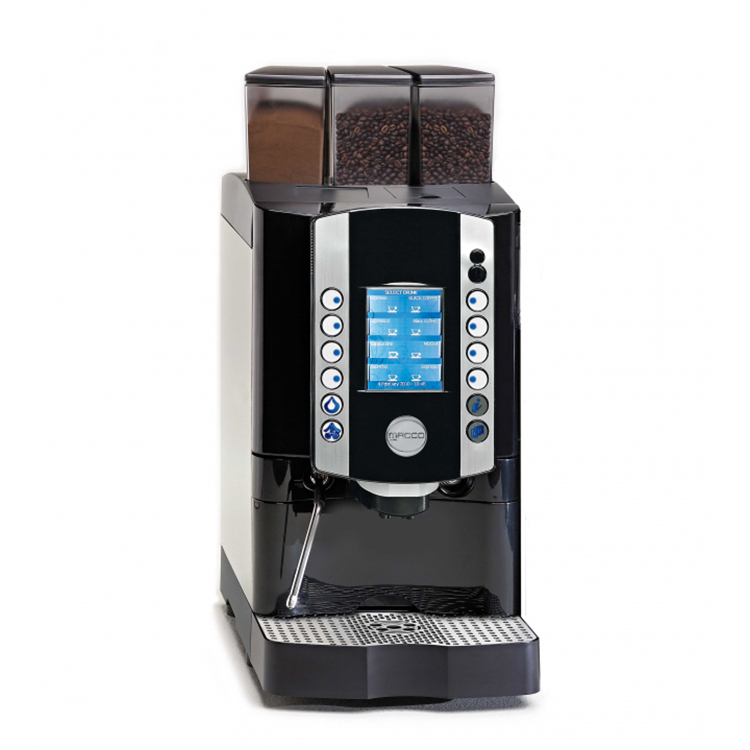 Enjoy espresso based specialty coffee beverages together with instant hot chocolate variations. 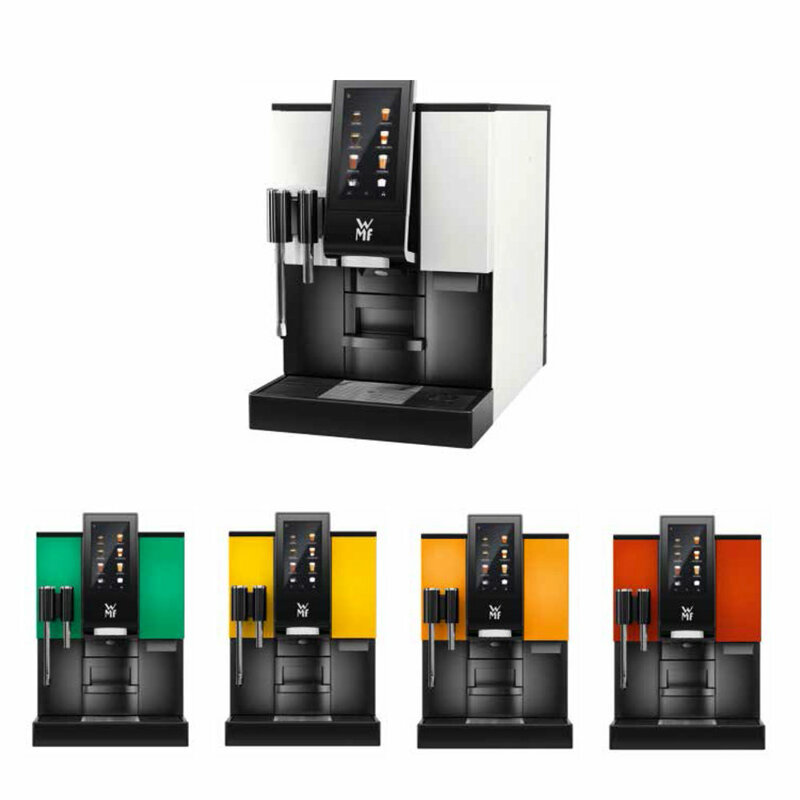 Drinks can be configured to the client s particular taste. 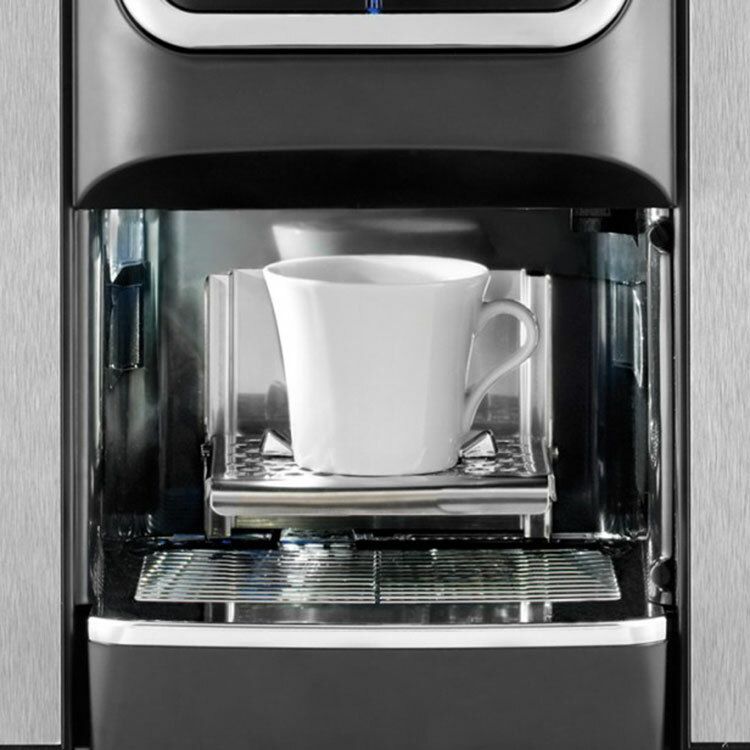 For small to medium drinks usage.